The Dyna-Tek® Heel Boot and Dyna-Tek® Heel Pad are simple-to-use solutions that can help reduce the risk of pressure ulcers developing on the vulnerable heel area. 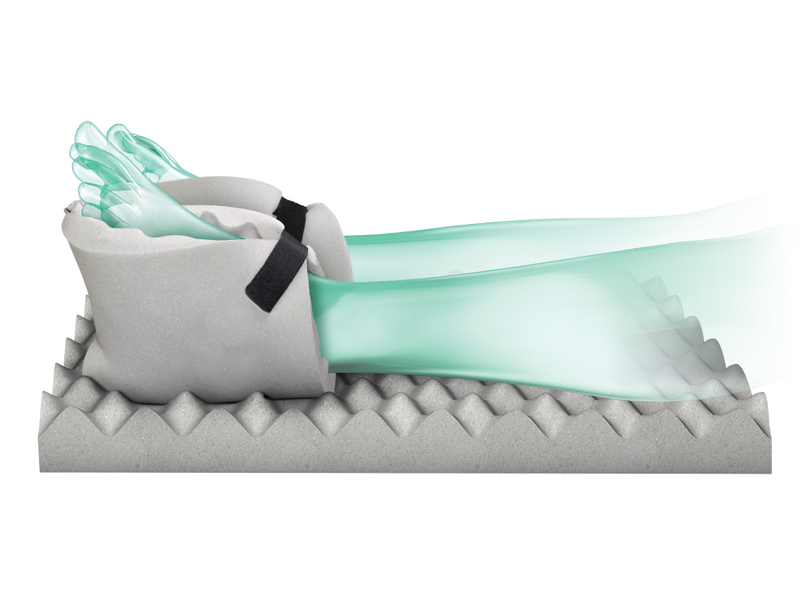 Suitable for patients evaluated to be at High Risk of developing pressure damage, the Dyna-Tek® Heel Boot and Dyna-Tek® Heel Pad have been designed to offer patients comfortable and effective pressure redistribution. Lightweight, soft and yet very durable, the Dyna-Tek® Heel Boot and Dyna-Tek® Heel Pad are also economic preventative solutions, especially when weighed against the significant costs that can be incurred in relation to pressure ulcer treatment. The Dyna-Tek® Heel Boot and Dyna-Tek® Heel Pad are single patient use products that can remain in place for up to 28 days.